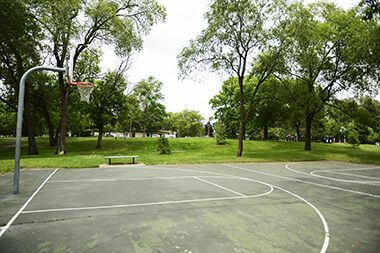 Hi-View Park	Named for its high elevation and city skyline view, the park has amenities for the entire family. Name: The name derives from the topography: high ground that offers a view of the city. The spelling of the name was changed from Highview to Hi-View in 1955. Hi-View Park was acquired from the state in 1950. 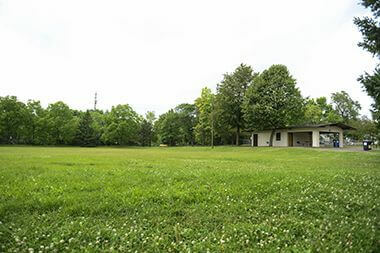 The state had acquired the property for non-payment of taxes. The original park was 3.74 acres, but was expanded by 0.12 acres in 1961 at a cost of $4,900. 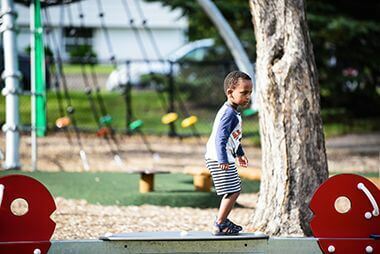 The park board acquired the land at a time when it was looking to fill gaps in playgrounds identified in a 1944 study of park facilities. 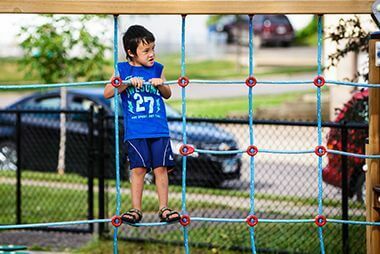 While the neighborhood around Hi-View was not on the list of neighborhoods needing playgrounds, the park board seized the opportunity to obtain free land from the state, when it discovered the land was on the state’s list of tax-forfeited properties. 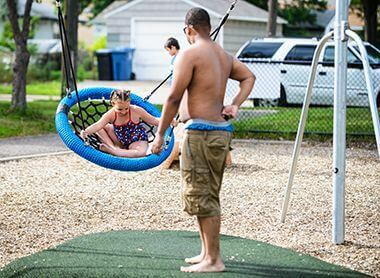 The undeveloped land had been used as a playing field by children in the neighborhood for years. The first instances of the park board seeking land on state tax-forfeiture lists was in 1905 when it acquired several lots to expand Glenwood (Wirth) Park and in 1914, when it acquired Russell Triangle. With the acquisition of four lots to enlarge Peavey Park and the acquisition of Northeast Field partly from the state’s tax forfeiture list in 1941, the park board began looking to the state as a source of cheap land. In a matter of a few years after World War II, the park board acquired nearly all of Bossen and Perkins Hill parks and portions of McRae and Kenny from the state for no cost. The park board also eventually acquired part of North Mississippi Park from the state. By the late 1940s, the park board routinely scanned lists of land the state had acquired for non-payment of taxes and spotted the Hi-View land on such a list. The park board began developing the land for a park in 1951, partly because it had some money left over from improvements at Bottineau Park. The initial improvements to the park—an athletic field, volleyball courts and children’s play area—were completed in 1952. 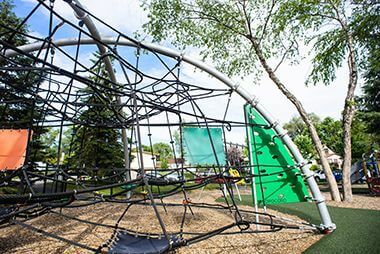 In 1961, the park board expanded the park slightly, built a small shelter and rearranged the playground equipment. The next round of improvements to the park occurred in 1977, when a wading pool was added. In 1989, the park was renovated with a new play area, or “totlot,” and a new baseball field and backstop. The made-over park was dedicated in 1990. 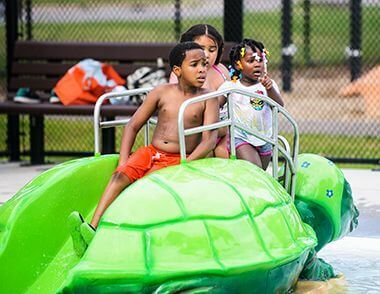 In 2016, a new wading pool and playground opened. 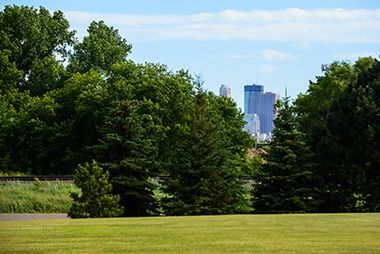 Take in views of Downtown Minneapolis from Hi-View Park. 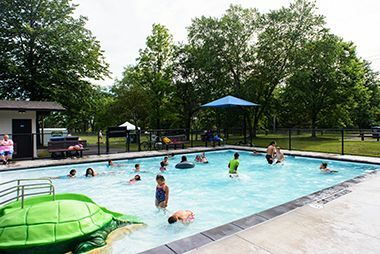 Cool off in the summer at the Hi-View Wading Pool. 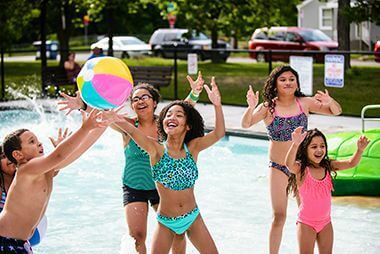 See our other wading pool locations.